Royal Musings: Crown Prince Alexander savors the food. The story about menus with stuffed pheasants, quail eggs, lobsters and other delicacies that were once served at glamorous nobility European receptions at Serbian Royal Palace in Dedinje was true for special occasions only. Crown Prince Alexander II, his wife Crown Princess Katherine and sons Princes Peter, Philip and Alexander enjoy much simpler meals. Their favourite is fruit, vegetables, fish, and local specialties. Serbian Crown Prince, who had King George VI and his daughter Princess Elizabeth as his godparents at his baptism, inherited the love for our traditional cuisine from his father, King Peter II. - My father kept telling me that biggest delicacy were “cevapi” and “sarma”. I realized that he was right, but to prepare both of it, the chef has to be a real master. Not that anybody could prepare it. Besides that, I love “kajmak” also. Although I know it is very bad for good shape, I cannot always resist it - admits Crown Prince Alexander. Although it was a long time ago since their male lunches and talks about Serbia, Belgrade, Oplenac and life at the Royal Palace, but Prince still has vivid memories about that. - As the great majority of Serbs do, my father loved bread and hors d’oeuvre, while my mother, Queen Alexandra, took great care about her diet, so she ate only salads. Dad loved very much wines from Oplenac produced in the Royal vineyards, that were served during official visits of European rulers, as well as in many foreign Royal Palaces. At the foothill of St. George Church, in which finally the remains of all members of Karadjordjevic Family were put to rest following wish of his great grandfather King Peter I, there is a Royal winery, founded in 1931, and Royal vineyard, where the first vine was planted back in 1914. The vineyard was renewed by King Alexander with French sorts of grape Pinot noir, Traminer, Chardonnay and Gamay. Part of the winery is turned into Museum, where the first barrels for Royal wines are still kept. Different bottles from the same period are part of the exhibition. Unfortunately, the vineyards were destroyed to a great extent after the World War II, but the scent of grape is once again present in Oplenac, and the Royal winery has modern production equipment. - I am very happy that these wines are getting better each year. We were very successful wine producers in the past, and I am glad that we have continued with this tradition. Rose, red and white wines were produced in the winery. We reactivated the tradition to serve our wines to guests at the Palace. The Foundation in Oplenac is a non-profit one, but Crown Prince Alexander II and Crown Princess Katherine attend grape picking in Topola each October, and do their best to present wine produced there not just to guests in their country, but all around Europe. They brought it to Russia as well, where Russian President Vladimir Putin and Prime Minister Dimitry Medvedev had an opportunity to enjoy it. Crown Princess Katherine realized that he was a man who enjoys good food during their first meeting in Virginia in 1984. They met over lunch in a Greek restaurant. - It was love at first sight. I remember that Greek dishes were on the menu: Saganaki, fried cheese, cucumbers and Tzatziki Sauce. Afterwards, I wanted to take her out to taste some Serbian specialties. Unfortunately, there are not so many our restaurants abroad, but I managed somehow. Besides that, friends always brought us food from Serbia. I remember that we used to drink “Knjaz Milos” mineral water in America. Life in the Palace, the beauty of Oplenac and the history of Serbian Dynasty that his father told him in exile, all of that Crown Prince Alexander fully understood only after he got permission to move to the land of his ancestors. - We returned to the Royal Compound in July 2001. I was overwhelmed by emotion, after I finally saw where my father, my grandfather and grandmother used to live. Many visitors had a chance to see menus of the Royal Palace in the past at an exhibition organized in Dedinje. The exhibits show that even then great care was taken about everything: food, silverware, china, table arrangement. Obviously my ancestors took great care to present our country in the field of gastronomy in best light to the world, and they did their best to be good hosts. Therefore my wife and I try for years to restore the good image of Serbia. Everyone knows that our country went through difficult times, but we want to show them that our country has very rich tradition, world famous artists and their works, good athletes, scientists. Our goal is to improve the image of Serbia and to promote it in different fields, from gastronomy to art. I am very happy that people are interested in our history, the Royal Palace and the art collection that we have, because the National Museum is still closed. - Our people say that a country without King is no good, and I extended that motto to the Royal Kitchen, because it is also not good without him, jokes Princess Katherine who has been engaged in humanitarian work for 20 years. Her Foundation has offices in New York, Chicago, Toronto, London, Athens, and Belgrade, of course, and is helping people regardless of their origin or belief. - My husband and I are very devoted to humanitarian activities. We work hard, try to help everyone, and that is much easier since we live in Serbia, because we can see what is needed and when. Serbs are proud people, never ask for anything, and therefore I have even greater desire to help them. Their love and affection is all I need, and there is nothing that two of us would not do for Serbia. 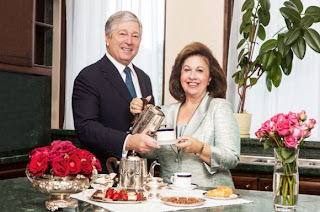 I am grateful to my parents who taught me that greatest joy is in giving, and who prepared me, without knowing, for the role I acquired by marrying a Serbian Prince. Marriage with Alexander brought many obligations, and she learned along the way how to find balance between wishes and possibilities, but she also realized that many dreams come true. We celebrated Alexander’s fiftieth birthday at Claridge’s Hotel, the place where he was born. 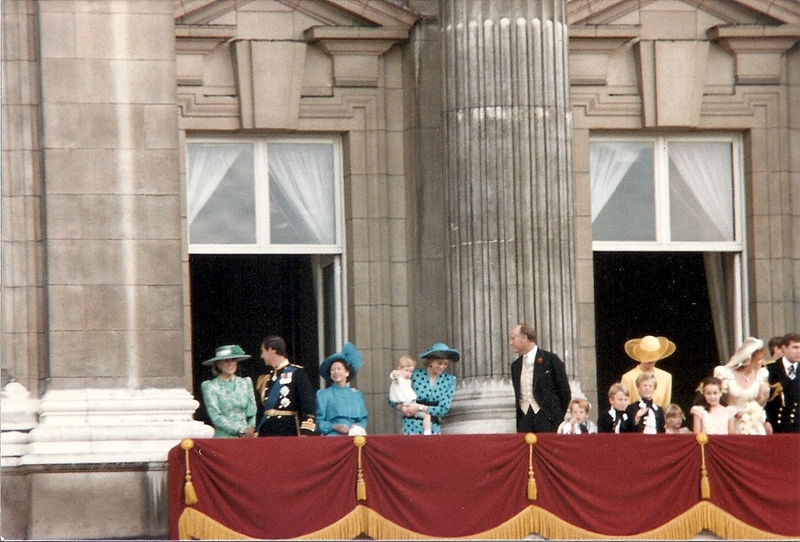 The British Queen Elizabeth, her husband Prince Philip, and many other European Royals came. My husband made a wish then, and that wish came true. We celebrated his sixtieth birthday in Serbia. And Princess Katherine organized the great celebration impeccably, as same as Queens from Karadjordjevic Dynasty once have done.